Hundreds of people have died from the massive earthquake that hit the country on Monday. This is tragic enough, but adding salt to the wound is the tragic response that is taking place which is telling the people that the earthquake was Allah’s warning to us. This message is being spread by religious leaders from all sects, threatening the people that if they do not change their behaviour than Allah will unleash more punishment. Actually, we know what causes earthquakes. It is a simple question that science answered long ago. Since we already know this, why are religious groups trying to scare people by telling them that Allah is punishing them? The answer is because it is a proven way to control their behaviour. It is religious blackmail. Think about it: Will these clerics tell the people that Allah is punishing us for how we treat Ahmadis and other minorities? Will they tell the people that Allah is punishing us for continuing to use blasphemy laws to settle scores and intimidate people? Will the clerics tell the people that natural disasters are Allah’s punishment for our nuclear weapons program which threatens to kill millions? Never. The reason given will always be something that advances their own agenda, not Allah’s. The same week, a new survey has found that maximum number of Pakistanis believe that foreign powers are behind terrorism in the country. According to the survey, about 55 percent of respondents believe India is involved behind terrorism in Pakistan. Another 29 percent blame the US for sponsoring terrorism in Pakistan. Overall, 79 percent of the respondents see a foreign hand behind terrorism in Pakistan. This belief is firmly held even though the people caught for committing the terrorist acts are never Indians or Americans but always Pakistanis. Salmaan Taseer killer? Pakistani. Sabeen Mahmud killer? Pakistani. PAF Badaber attackers? Pakistani. APS Peshawar attackers? Pakistani. Wagah bomber? Pakistani. 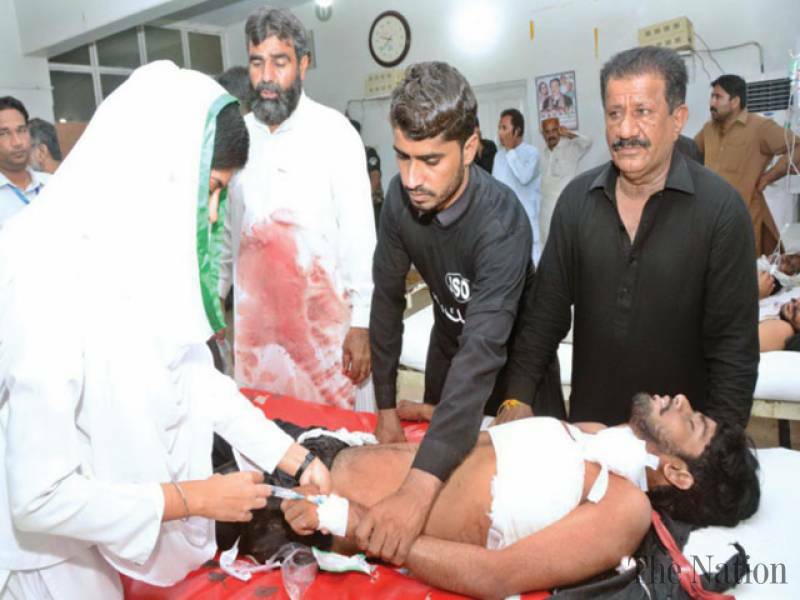 Jacobabad attackers? Pakistani. The list goes on and on and on. So why do so many people believe that it is foreign powers and not extremist mindset spreading among our own society that is responsible? The answer is because they are told so over and over and over again. Aizaz Chaudhry declares it from the government. Even Army has declared it. Army Chief Gen Raheel Sharif has even declared that terrorism in the country was defeated months ago, but terrorist attacks continue. And they continue to be done by Pakistanis, not Indians or Americans. Why are we told that foreign powers and not extremist mindset? Because it advances an agenda: Unifying the country. While everyone is sacrificing the truth for their agendas, the people are suffering. Earthquakes and terrorism become connected because religious clerics use earthquakes to promote an extremist mindset that serves their agenda, and the powers that be ignore the extremist mindset being spread by these clerics because their agenda requires attacking India and America, not clerics. The cycle continues, and the disastrous result really is a punishment for for our own behaviour. This entry was posted in Blogs and tagged America, earthquake, extremism, foreign hand, india, science by Mahmood Adeel. Bookmark the permalink.